While I would love to say I typically bake from scratch, it's just not the case (unless it's the holidays and I am making Christmas cookies with my mom). I recently saw this delicious dark chocolate chunk skillet cookie recipe on How Sweet It Is and wished had the cooking prowess, tools, and patience to make it. 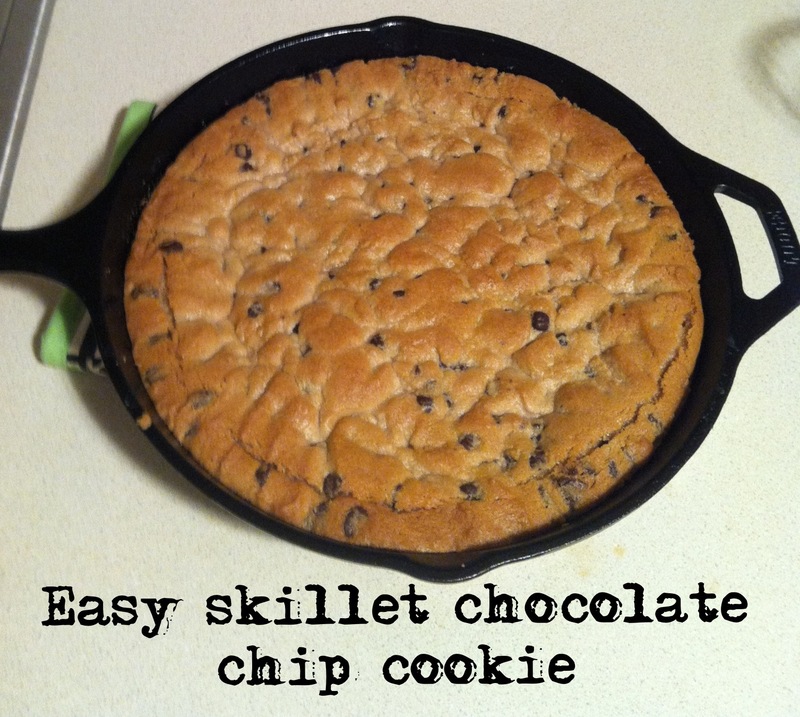 I did a Google search for "easy chocolate chip cookie skillet recipe," and voila, the easiest recipe EVER came up. Thank you, Doughboy. Step 1: Buy a cast iron skillet and roll of Pillsbury chocolate chip dough. Step 3: Dump roll on skillet, and press out with fingers. Step 4: Bake for 20-25 minutes. This looks delicious! I would probably eat the whole thing! ah! i love skillet cookies! SO good! Oh, YUM!! Now I know what to do with all those chocolate chips I found during my pantry clean-out! I was just telling my friends next time we go to her cabin with the wood-fired oven that we need to make something like this! Wait is is seriously that easy? Because I love me a good skillet cookie but thought it was more difficult than that. No way. yummy!! After beach season Im so trying this!